BMT is the market leader in the provision tax depreciation schedules for owners of residential and commercial investment properties in Australia. BMT’s depreciation schedules outline the deductions available on a property and are used in the process of preparing tax returns in order to maximise after-tax cash flows to property investors. BMT’s products are the premium offering in the market in terms of quality, accuracy and the magnitude of taxable deductions for property investors. 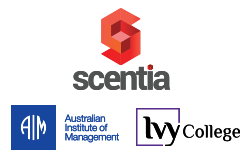 Scentia Education Group (“Scentia”) is the holding company for the Australian Institute of Management Education and Training business (“AIMET”) and Ivy College. Scentia aims to deliver an unrivalled high quality education service across the corporate solutions, open programs, vocational education and post-graduate higher education. AIMET is highly regarded for its leading corporate, vocational and higher education qualifications, having previously been the education and training division of the Australian Institute of Management (“AIM”). AIM’s membership division will remain as a separate and independent not‐for‐profit entity. Ivy College offers nationally recognised diploma and advanced diploma level qualifications for business and management, beauty therapy, health and wellbeing, design and technology and event management. Cater Care is a national provider of contract catering to remote mining and resources sites, aged care facilities, universities, boarding schools, factory canteens and offices. Cater Care differentiates itself by focusing on cooking fresh by having a chef on every site and tailoring a solution for every customer. TR Group the leading New Zealand truck and trailer leasing and rental company with a fleet of over 3,000 vehicles. TR Group is a truck and trailer specialist offering tailored, fully maintained operating leases, short term rentals and an extensive range of quality used vehicles for sale. The company was founded in 1992 and has branches throughout New Zealand. The business has consistently grown through the increased penetration of leasing within the New Zealand truck fleet. CHAMP Ventures provided expansion capital in October 2014 to partner alongside the existing family shareholders. Sea Swift is the market leader in full-service marine logistics in Far North Queensland and the Northern Territory. The company provides freight and charter services to a broad range of regional customers, including remote communities, regional councils, mining operations and building contractors. Sea Swift also provides fuel distribution to remote communities and fishing fleets. Sea Swift is headquartered in Cairns Queensland and employs more than 400 people across nine depots and 29 company-owned vessels. CHAMP Ventures completed a management buy-out of the business in October 2012. Ansett Aviation Training is the largest independent provider of simulator training in the Southern Hemisphere housing twelve full flight simulators with associated briefing rooms and an A320 Cabin Emergency Evacuation Trainer. The facility is conveniently located just 5 kilometres from the Tullamarine International Airport in Melbourne, Australia. In June 2012 CHAMP Ventures acquired a majority stake alongside the new chairman, Margaret Jackson, and the existing management team. Lorna Jane is a Brisbane based designer, wholesaler and retailer of its own proprietary range of women’s fitness and leisure apparel. Lorna Jane is the leading brand in women’s fitness apparel in Australia and principally positions itself as an aspirational brand for active women in the 25-45 year old demographic. In April 2010, CHAMP Ventures took a significant minority stake, partnering with the founders to help grow the business. With broad demographic appeal and retail stores nationwide, Lorna Jane is well positioned to take advantage of a sustained shift towards health and well-being within the community. EnGeneIC is an Australian biomedical company that has developed a unique technology based on bacterial minicells. These 400 nanometre particles (EnGeneIC Delivery Vehicles or EDVs) are capable of delivering anti-cancer drugs and other therapeutic molecules such as siRNA and are targeted directly to tumour cells using bispecific antibodies. The EDV is effectively a first in class, cyto-immuno antibody drug conjugate and to date has shown virtually no side effects together with high efficacy against a range of cancers. EnGeneIC has completed extensive animal trials and has completed Phase I First in Human trials demonstrating a good safety profile. The company is now preparing for Phase II trials in Australia, Russia and the USA.